Welcome to Forster Triathlon Club! “Thank You” for joining or renewing with the Club for Season 2013-14. This year the Club is aiming to build on its successes of last season, with increased participation, a larger Junior base, and more races and social activities than ever before. Forster Tri Club is a Triathlon NSW-affiliated Club which means that our members enjoy the protection and benefits of being a member of TNSW. These benefits include insurance coverage while racing or training, discounted and preferred entry into major events in the TNSW calendar, and eligibility for selection to race in the national colours at various events world-wide. •	For more information, visit the TNSW website at Triathlon NSW. Club races – unless noted otherwise – take place at the main race precinct at Elizabeth Reserve, Forster Keys. This is a flat, protected and safe area for our races, but please be mindful of local residents who may be walking, riding or driving in the area while we are racing. The roads are not closed for our races, but are managed with signage and traffic control. Please arrive early for your race, and avoid parking on the course. Now that you have paid your Club subscription fee, there is NO COST involved in racing the Club races. The Club’s race calendar is available on the Club website. The calendar includes all Club events – duathlon, triathlon and aquathlon – and there is also a separate calendar for races of interest in which Club members might wish to participate. The Club is keen to attend the open races organised by our neighbouring Tri Clubs, and usually has a large representation. 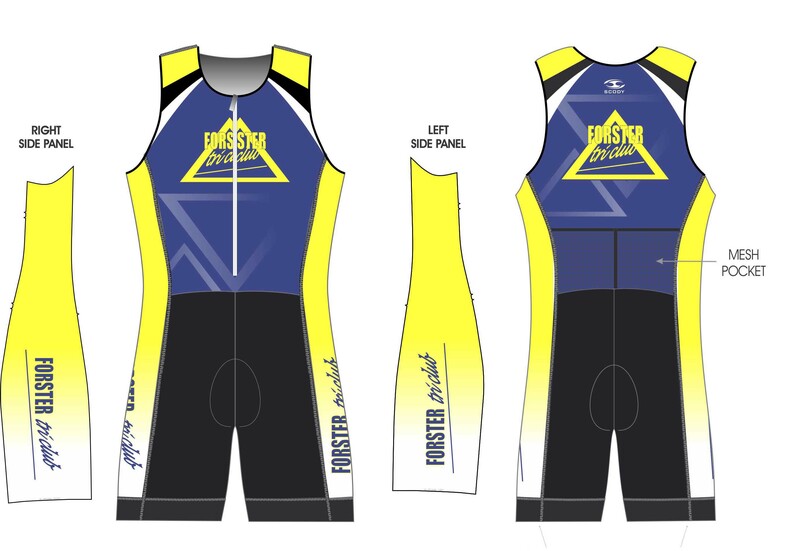 The Club has its own distinctive range of custom uniform – with trisuits, tri tops, t-shirts and polo shirts available for purchase at a subsidised rate by Club Members. Members are encouraged to race and travel in the Club colours. 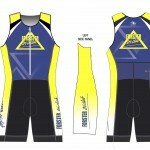 These uniforms can be obtained by contacting Brenda Nixon for pricing and availability. An order form is available on the Club website. The Club’s setup roster ensures everyone has a turn at getting ready to race on race days. Check the Roster on the Club web page to see if you have been allocated a duty on race day. If not, all members are encouraged to attend early to assist in the smooth setup of the race precinct. Check the website often for changes to the roster. Visit the Club’s Facebook Group and become a member. Members are encouraged to use the Facebook Group to exchange ideas and find out about upcoming social and race events. Join a training group to make more new friends and to enhance your training. Training groups, their location and times of operation are available on the Club website on the “Members’ Information” tab.